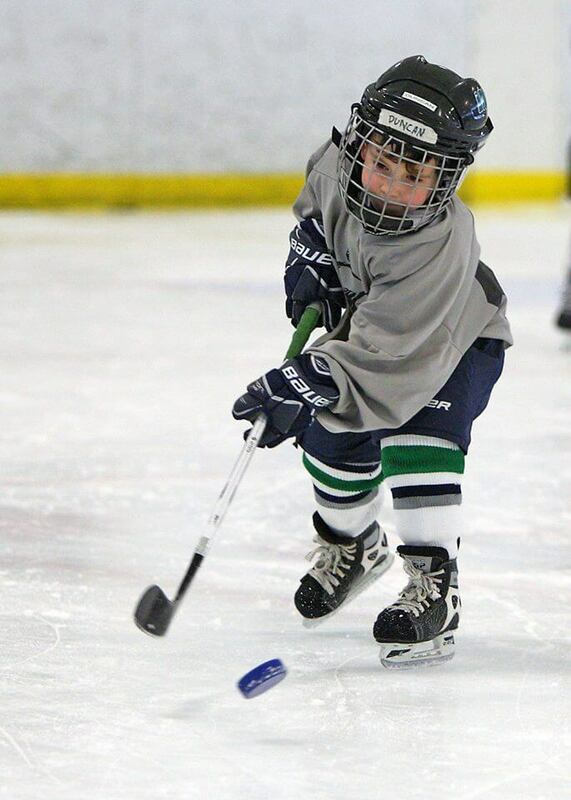 Duncan participated in this Spring Hockey program in 2014 as a 4 year old. I didn't think he was quite ready for a cross-ice team (because I'm realistic about his ability) so I signed him up for their Wolflings program. Essentially a weekly skills clinic much like the Avon DP program he'd just finished up a few weeks earlier. On the first day, the kids were all given knee hockey sticks and jerseys with numbers on the back -- and this was a VERY big deal for most of the kids. It's the little things sometimes. 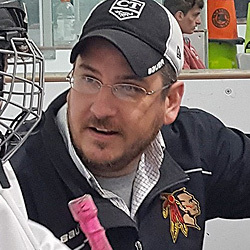 The coach was Adam Duskocy, a guy roughly my own age with the southern Ontario accent that I've long since lost. Totally different style of coaching from what Duncan was used to but within the first 5 minutes, Coach Adam had already shown Duncan something new -- what to do with his arms while skating -- and the improvement was instantaneous. Unfortunately, following the first session, the program kinda went out to pasture and got a little disorganized with an endless rotation of coaches (or lack of) and a swarm of kids that had no business being in the program -- you know, with the parents that don't think prerequisites apply to their kids. Even still, the price was very affordable, Duncan got a ton of ice time, he met a lot of new kids, and picked up some techniques he's still using today. He also had a lot of fun.